Hailing from Stockholm Jonathan Fritzén excels as the new smooth jazz piano star. With his debut album Love Birds he already twittered lovely tones in our ears. Now he is back with his sophomore album VIP. 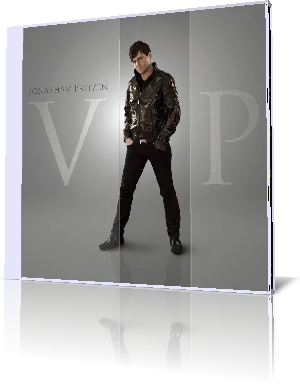 His extraordinary cover and the title signals: Jonathan is reaching for the crown. To level the acceptance on the American music market is Jonathan's impetus. So he is joined by guest musicians like Jay Soto (guitar), Michael Lington (sax), Laila Adéle (vocals), and Greger Hillman (sax). Jonathan produced and composed the complete album and also performed most of the instruments (piano, keyboards, drum programming and more). To give you a first imagination of his music I would compare him with pianists like Brian Culbertson, Alex Bugnon, Nate Harasim and Rick Kelly (Soul Ballet). The album opens with VIP following the concept of the above mentioned artists. Jonathan serves the melody with ease and conjures an uplifting summer mood. Jay Soto defines the melody with precise guitar riffs answered by Jonathan on piano. Superb! If You Want It features the extremely talented singer Laila Adéle. The Morocco born singer has success with her musical debut in Little Shop of Horrors 2007/2008 and her participation in the musical Hairspray (2009) at the China Theater in Stockholm. Her first album Laila Adéle (2001) received high acclaims from the media and with her second album Gratitude (2006) she pioneered with the first album in Sweden, which was released on USB-stick. With In Motion Jonathan shines on with his signature style of easy listening piano supported by Janne Manninen on bass. On The Standard he builds a moderate melody, the starting platform for improvisations of Jonathan and Jay Soto. Fading Away presents Michael Lington on alto sax. A romantic ballade streaming like a river. The New Vibe is a one-man-band-song performed by the multi-instrumentalist Fritzén (piano, synth, bass and drum-programming). Bass and rhythm reminds me of the old song Rapper's Delight (1979). Obviously state of art of modern drum-programming. Day After Day showcases another facet of Jonathan's great talent. He is scatting along his magic piano play. The interlude between piano and synth on In Your Eyes is divine. Jonathan is a treasury of rich melodies. Emma Beskow on cello delivers classic accents. His jazzy impact on piano like on Coastline is unsurpassable. Greger Hillman accompanies on alto sax. The lush Stay features anew singer Laila Adéle in all her beautiful sweetness. Jonathan has a special affinity to the bass lines of Cameo. Bring It Back offers some final piano sprinkles. Jonathan boosts real musicianship potential to a piano event you will not forget. This is piano entertainment at its best.